At the end of January, I mentioned that there were a couple of layouts that I was holding off showing you before the papers arrived at the HKMC shop. I'm so happy I can finally show you what they are. Echo Park, one of my favourite brands, have come up with the cutest boy and girl lines this CHA. The collections, "All About A Boy" and "Sweet Girl", designed by Lori Whitlock for Echo Park, are just the cutest. Both collections are available at HKMC now. 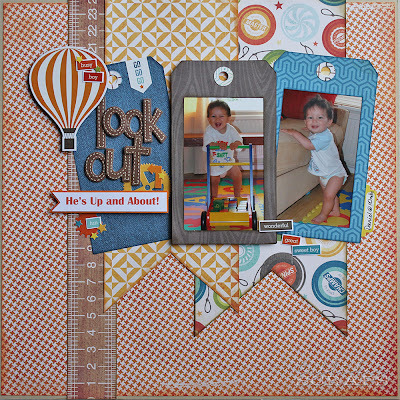 Since I have a girl, I've done mostly girly layouts, so I jumped at the chance to work with this line when I saw it. Who could resist all these papers? I love the blues, oranges and browns together. 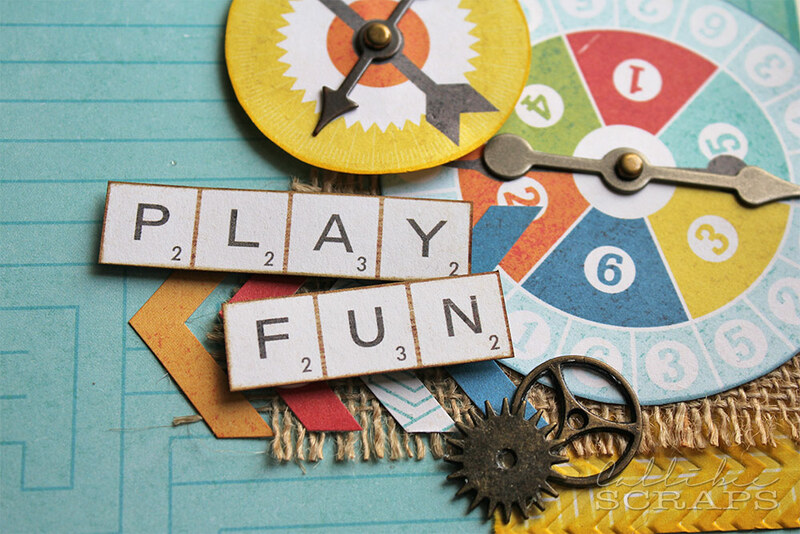 The designs are just too cute: yoyos, gears, game spinners, scrabble tiles, the maze! The girl line is just as cute. With lots of strong pinks and teal, this line has a good balance of florals and geometrics, as well as retro designs, like the vintage alphabet board, girly dresses and pie charts. 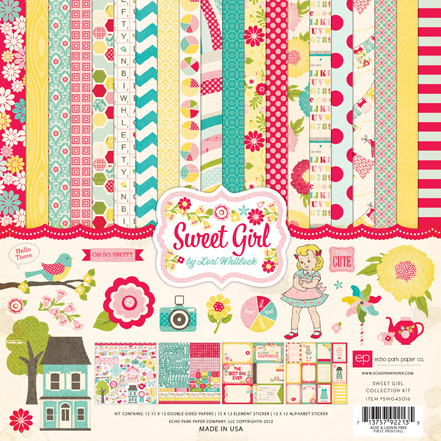 One of the other girls will be working with this line and hopefully, we can show you some of her layouts on the HKMC site soon. 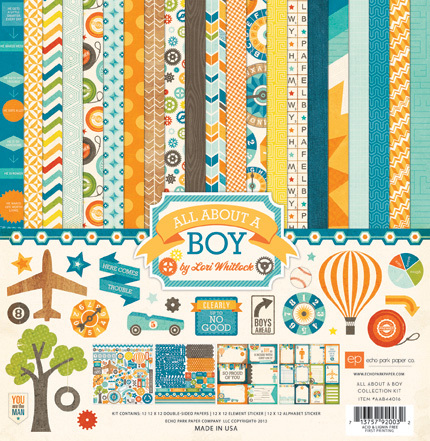 And now, for the reveal on the layouts I did with the boy papers. 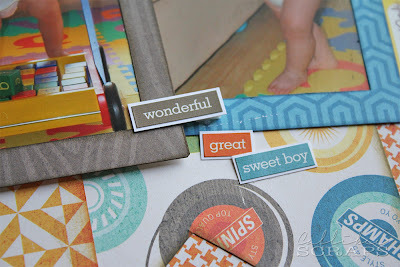 They were so much fun to do and really hit that "boy" spot for me, scrapbooking wise. I absolutely love these photos of Miss C's cousin, which I took a few years ago, and I'm so happy I've found the right papers to use with them. I just love the maze pattern on the base paper and how it matches the maze-like quality of the photos. 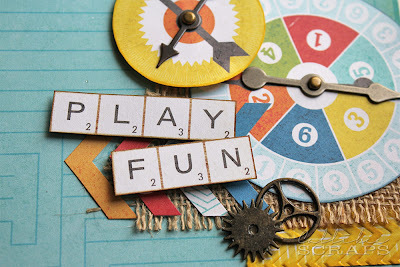 I cut out a few game spinners circles and added some Tim Holtz spinners and gears. 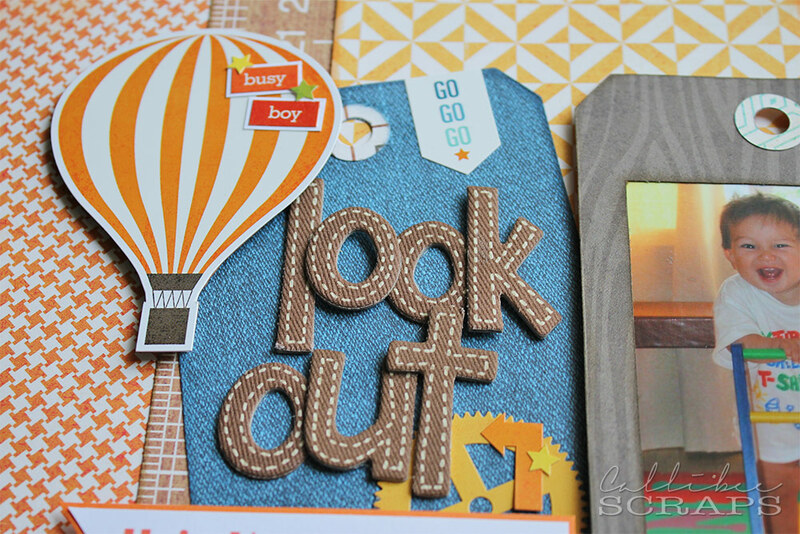 I added burlap and embossed tags to give a little more texture and interest. Look at the orange hexagon letters - just too cute. 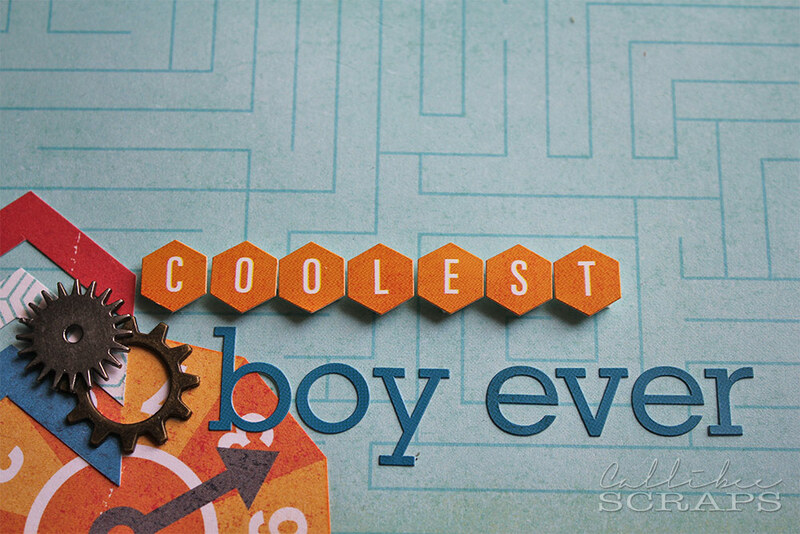 In contrast to the first layout, I used an orange houndstooth base paper. 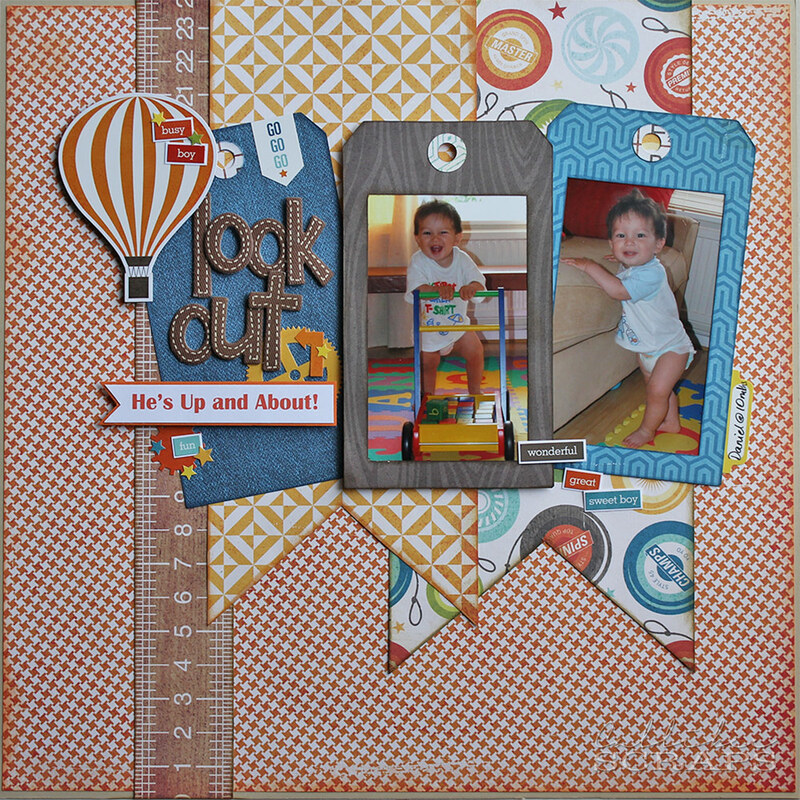 I die cut tags and cut out the centres to make tag frames for the photos. 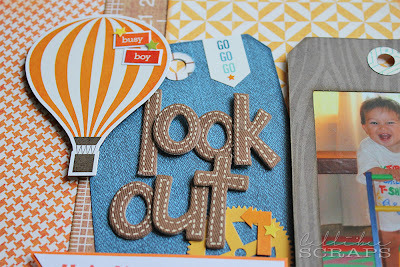 I used "stitched" fabric Thickers for the title to go with the denim paper tag. How apropos are all the word stickers for these photos? Perfect. This yoyo paper really caught my eye. Super cute.